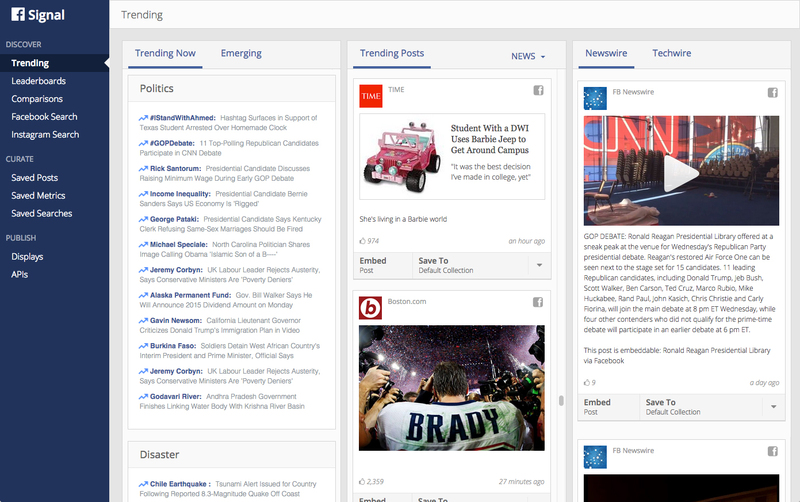 To get more journalists using Facebook and Instagram for news discovery and curation, Facebook recently launched a new tool called Signal. Announced yesterday, Signal is a free tool for journalists for sourcing videos, images, text and data from Facebook and Instagram. The tool lets users search for multiple Instragram hashtags and users simultaneously, as well as monitor trending topics and emerging trends. In terms of data search capabilities, Signal allows search of public posts using location tags and hashtags. Search results, as well as specific posts and metrics, can be stored for future use. 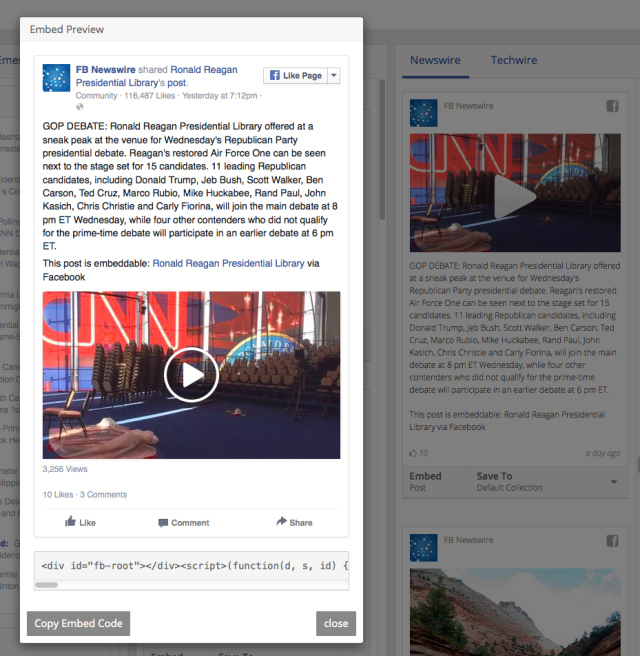 Signal also feeds in content from Storyful’s FB Newswire and Crowdtangle. For now the tool is focused on trends in the United States and is available in English only. Journalists can sign up here. Previous Is Facebook’s Latest Tech Announcement Hinting At Video Monetization?